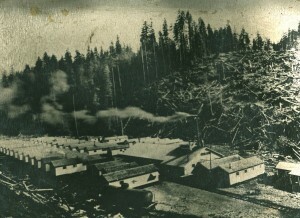 In 1935 a timberworker’s strike was called and all the mills and camps around Eatonville closed down. 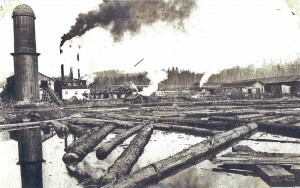 Mineral was a hotbed of uncompromising striking and a man was shot on Main Street during a bitter demonstration against workers of the North Fork Logging Company. Someone put dynamite in Russell Krones’ car on August 6. The blast tore holes through the roof of the garage. 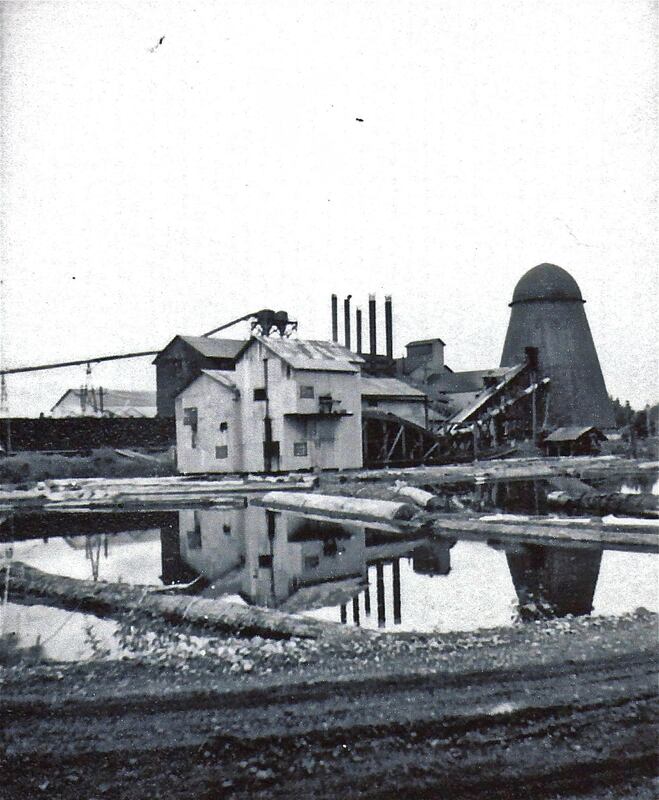 Krones was employed at the Wheeler-Osgood Mill and folks believed the strikers were the ones who bombed his car. 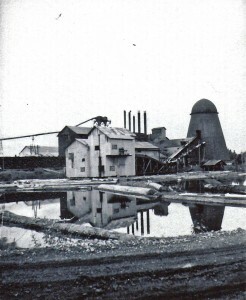 Photos courtesy of Williams family. 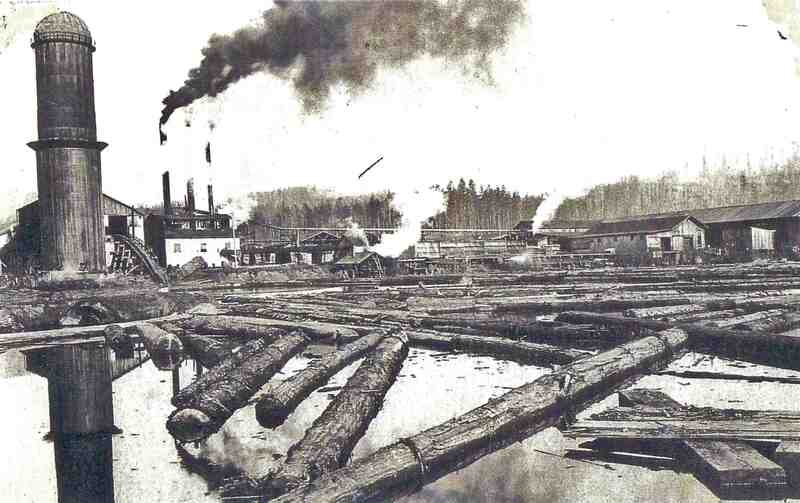 Some of the labor problems could have been for sympathic IWW menbers whose 1930’s headquarters were in Tacoma.The International Works of World were a direct action union meaning they would burn bunks houses and drop wrenches in grear works to help achieve their demands. The logo to this day is a black cat. They are now headquartered in Ohio. I need to read up on my Wobblies. 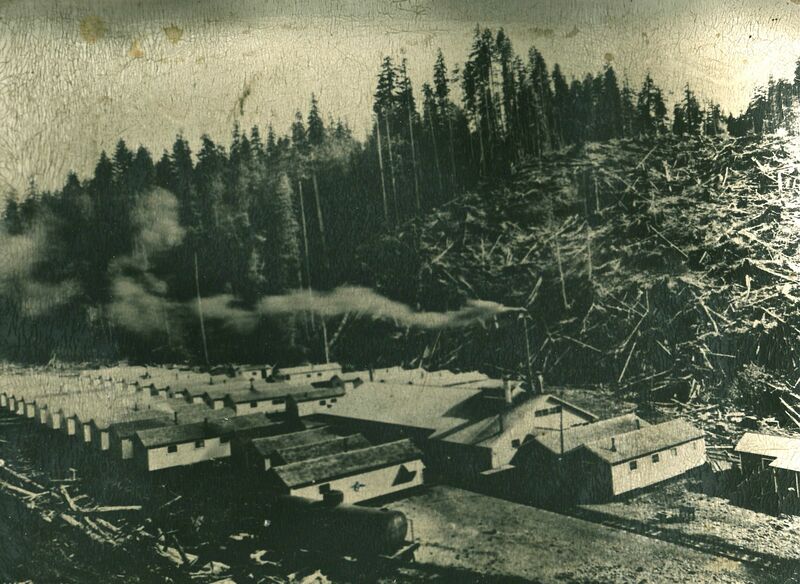 They helped bring the 8 hr day the logging industry as well better camp food and bunkhouses. Sounds like they were a godsend.